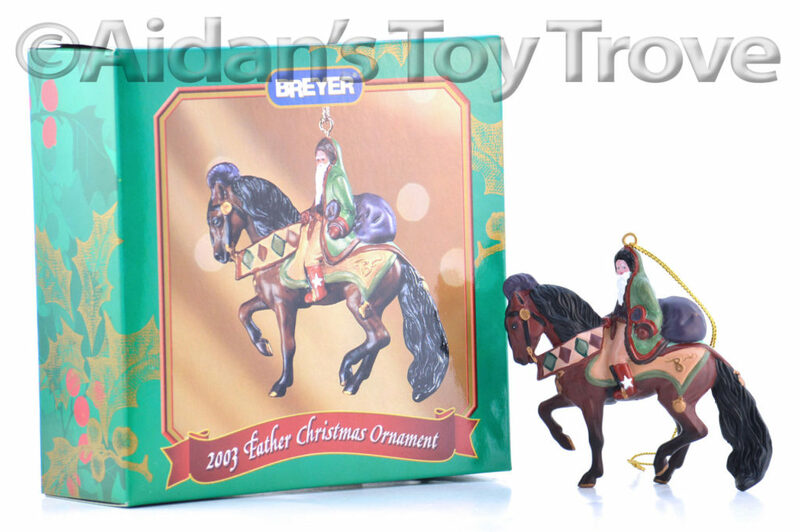 This listing is for a NIB Breyer Christmas 2003 #700113 Father Christmas Ornament. 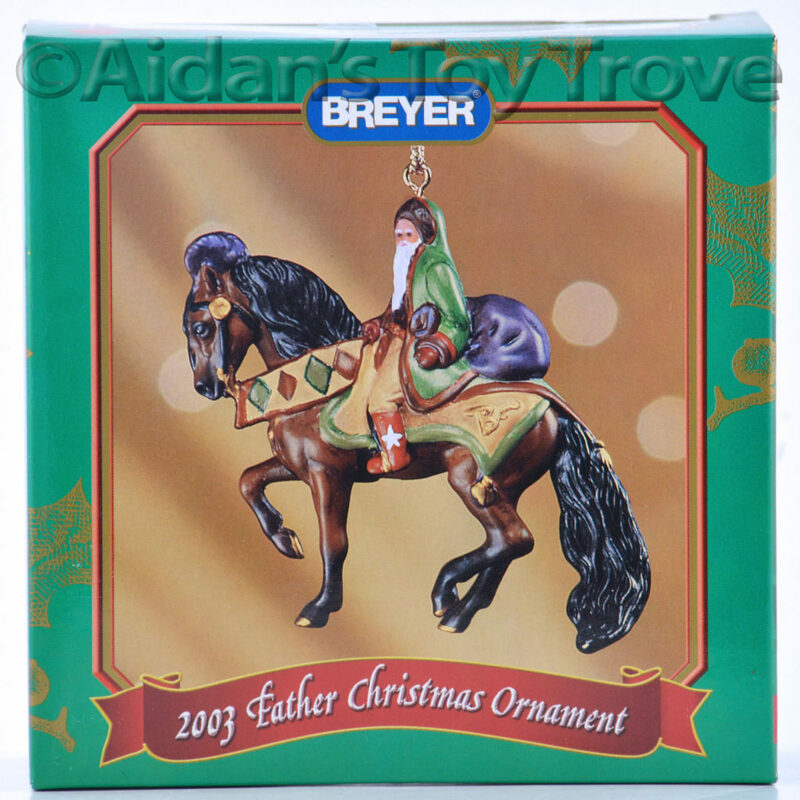 Please note that I have multiples of the Father Christmas Ornament and you may not receive the exact one pictured. 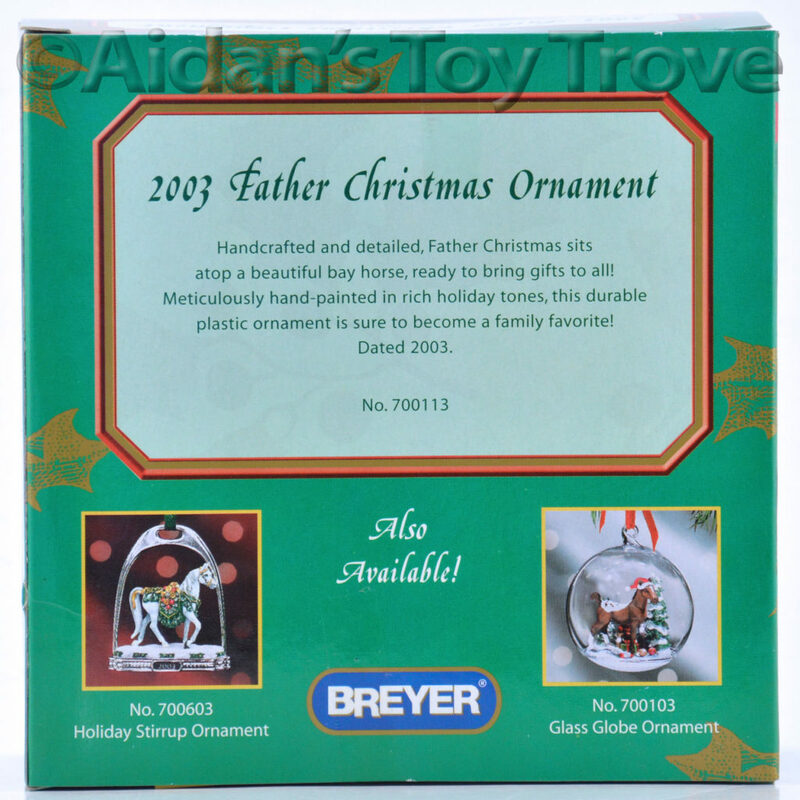 One ornament was opened briefly for photographic purposes but remains like new in the original packaging. The remaining ornaments have never been opened. The box may have a price sticker and may show some wear. 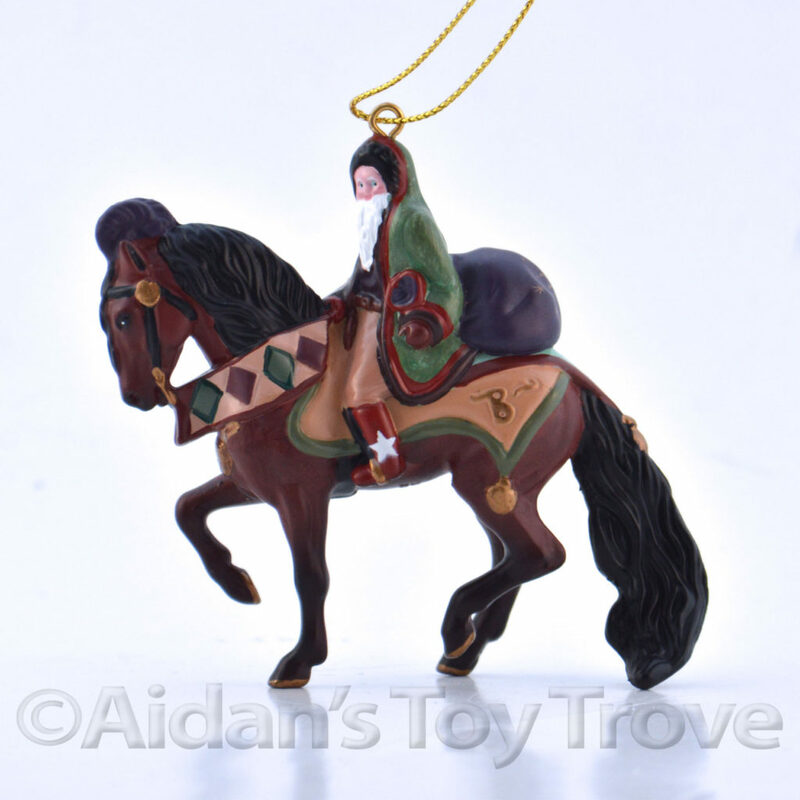 Handcrafted and detailed, Father Christmas sits atop a beautiful bay horse, ready to bring gifts to all! 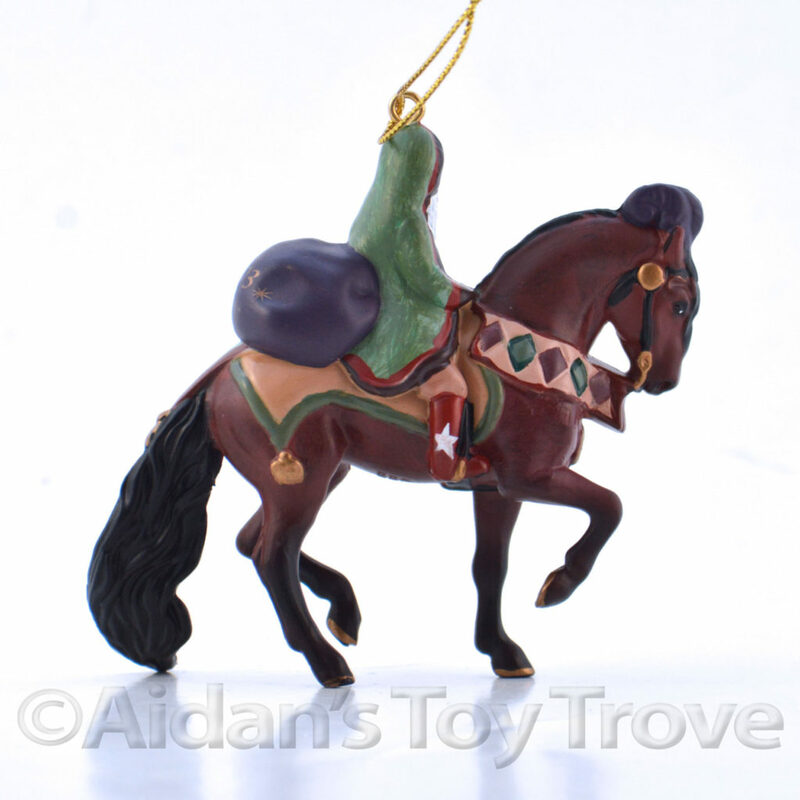 Meticulously hand-painted in rich holiday tones, this durable plastic ornament is sure to become a family favorite! Dated 2003.